Our team is made up of people who are completely involved in wapping. Weaping has become a part of life for us. All that we do - we do first of all for ourselves, and we have the highest demands. Having tried many top mehmods, having understood their design, it became clear that even the steepest bellows are full of flaws. Therefore, it was decided to make your ideal fur. We set the most ambitious goals for ourselves - to surpass the Americans in efficiency, simplicity of design and price. It turned out whether our plan is to judge you. 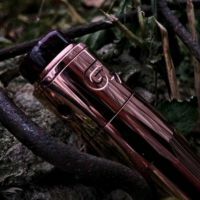 GLM RDA 24MM Main features: 1. The two-post base (the minus post is an all-milled element) 2. Gold-plated racks, bases, bolts and pins 3. Deep B..